The vibrant yellow truck parked behind Pacific Outfitters in Arcata not only gives you those Carribean vibes but makes you wish you were there too. 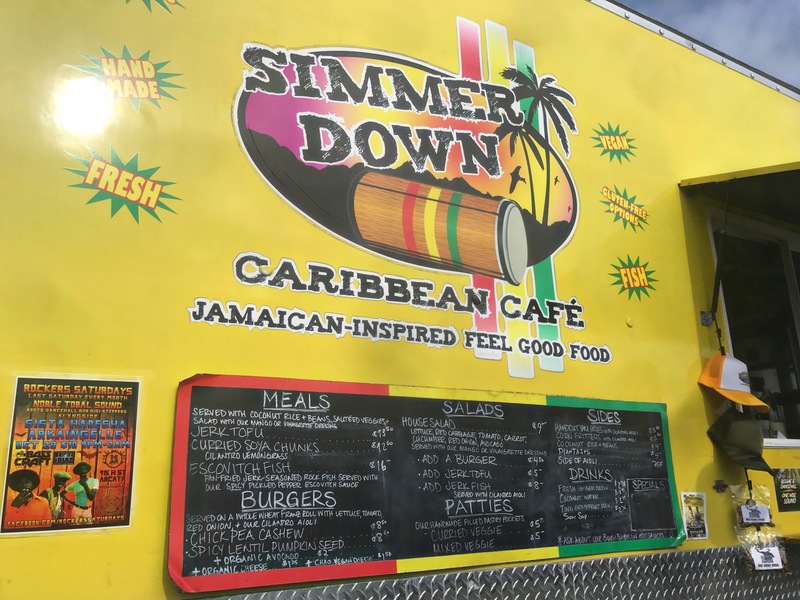 Simmer Down Caribbean Café is not your typical café, it’s a food truck. Owner Patrick Gaskins, who is originally from Pennsylvania but now resides in Humboldt County, used to cook in parking lots across the country. Gaskins officially started a food booth back in 2010, serving dishes at Reggae on the River, Summer Arts and other music festivals. He and his wife, who has some food allergies, were already cooking the Ital way because its low processing, low levels of salt, and mainly vegan qualities were beneficial for her. 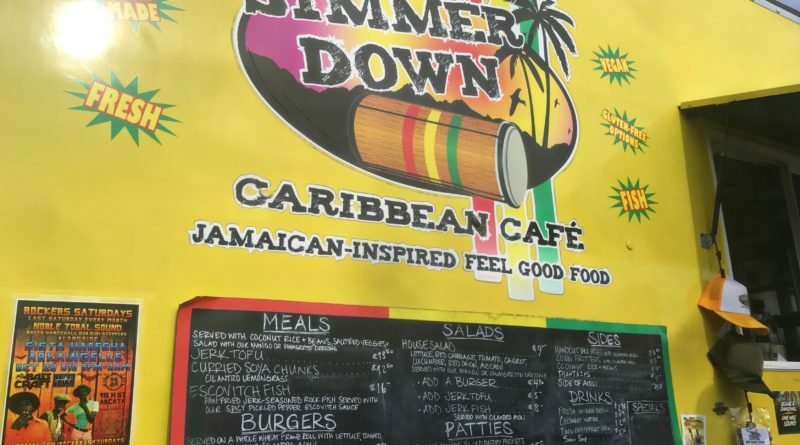 The events they worked at were filled with fried food, so they served the Ital food they now make at Simmer Down. 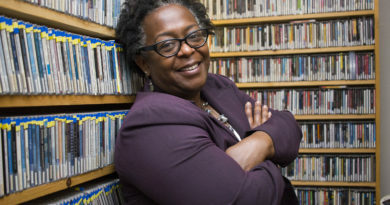 “I started cooking this type of food to give people not only a better option, but healthier one too,” Gaskins said. The food truck first launched in May 2015 in McKinleyville and resided there for two months before it was moved down to Arcata. Our take on Simmer Down’s Jamaican inspired, “Feel Good Food” sure left us feeling really good and full. The price is worth the big portions of food. We tried the mixed Veggies, curried veggie patties, yams fries with their special cilantro aioli sauce, as well as coconut rice and beans with a side of plantains. The Soursop Juice is so refreshing! 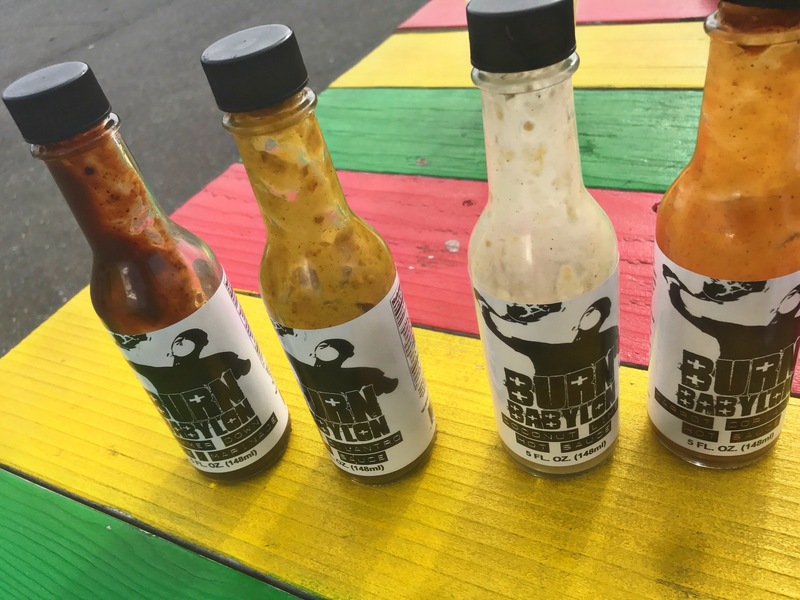 We also tried their authentic homemade special hot sauce line called Burn Babylon. They have four different sauce options: Coconut Lime, Carrot Coriander, Beet Cilantro (the hottest of the group), and their very own Simmer Down original sauce. The four Babylon hot sauces, from left to right we have Best Cilantro, Simmer Down, Coconut Lime and Carrot Coriander. If you’re wondering what the most popular dish Simmer Down has to offer, well everything is quite popular and their menu is really paired down. “There is nothing on the menu that I do not like. 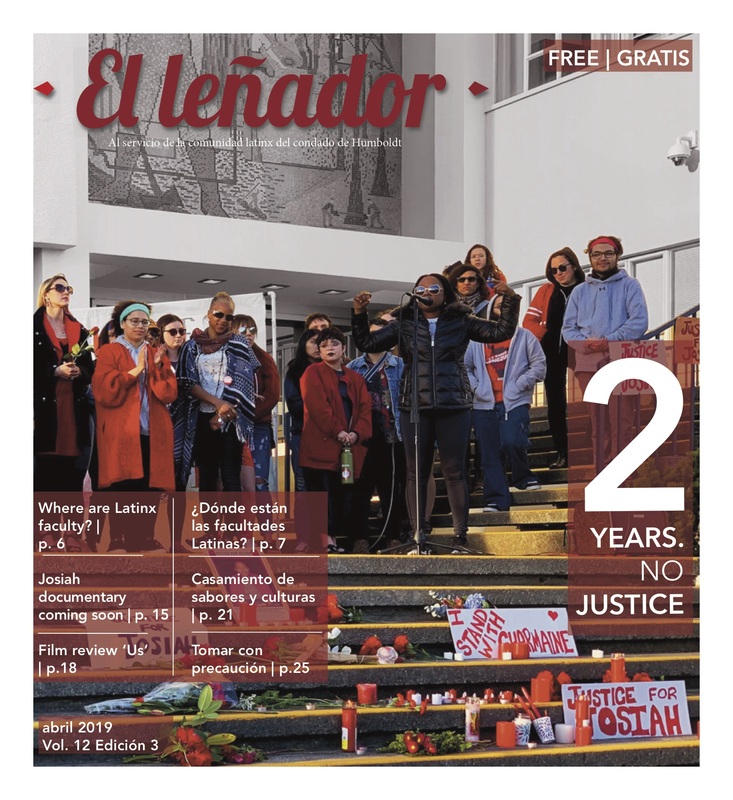 There is nothing token on the menu and everything sells pretty well,” Gaskins said. The top sellers would probably be their chickpea cashew burger, escovitch fish and jerk tofu. 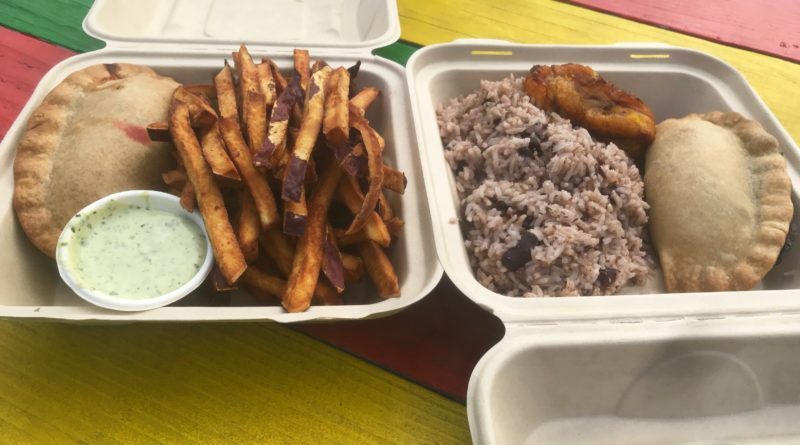 Everything is all organic and made from scratch at this Jamaican inspired food truck. Bridget Ousley, 21-year-old HSU senior from St. Croix, US Virgin Islands, says Simmer Down has good service and food. We couldn’t agree more. You can find Simmer Down Caribbean Café at 737 G Street, Arcata. Their winter hours are from 11 a.m. – 6:30 p.m. Tuesday through Friday. 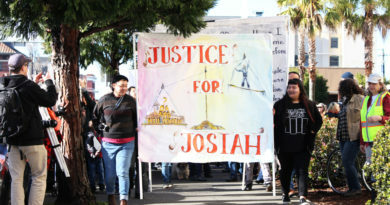 They can be reached by telephone at (707) 702-1050. 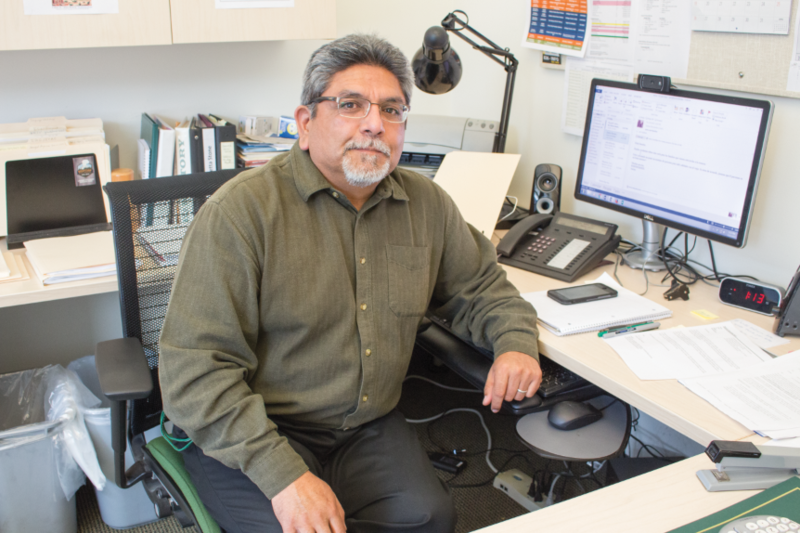 ← Is There Really Free Speech at HSU?